Radio controlled aircrafts are fun to watch, learn about, and play with, and that's what PicaSim (full version) is all about. It's a flight simulator made by The Rowlhouse that teaches you how to fly them, or just have fun playing with them up in the sky practicing aerobatics along the way. - Many races namely F3F-style and cross-country. - Limbo (slope and powered) and thermal duration challenges. - Planes: Two discus launched gliders (including the Ypsi Notos), GeeBee R2, Tigger (2.9m F3F slope racer), ASW15, "The Plank", magpie, and an electric version of the Neoslope. 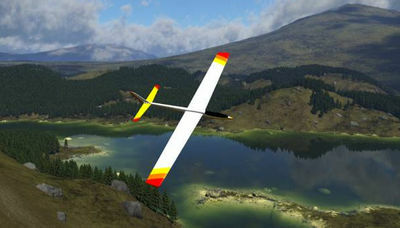 Also a quadcopter/drone and a very fast/aerobatic control-line plane, the Peacemaker. 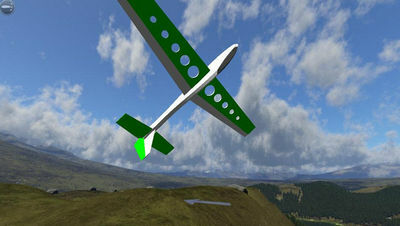 For a complete list of planes included, or how to use a gamepad please visit the Play Store. - Add Litermonthalle Nalbach indoor scenery by Detlef Jacobi. - Graphical improvements. If upgrading on a low-end device, you may need to disable "Separate Specular" in the options if this causes too much slowdown. - Reduce the wind strength in front of slopes slightly.